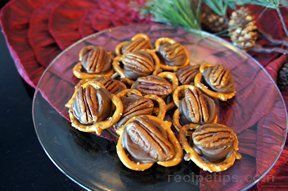 "Usually make these just around the holidays but I was having the girls over and ... read full review"
Heat oven to 250° F. Grease cookie sheet, place pretzels all over with a Rolo on top. Place in oven for 5 min. 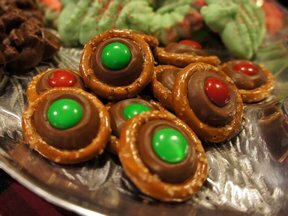 Remove from oven and place a nut or an M&M candy on top (use whichever you prefer or make some of both). Let cool. 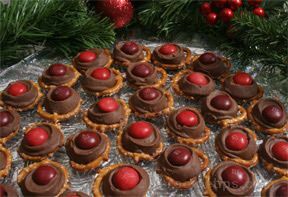 "Usually make these just around the holidays but I was having the girls over and wanted something sweet. This was perfect. 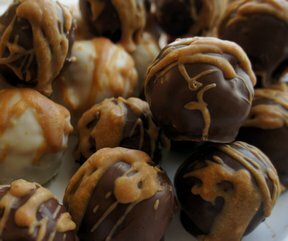 I used fall colored M&Ms. Sweet and salty! And SO easy helps a ton."